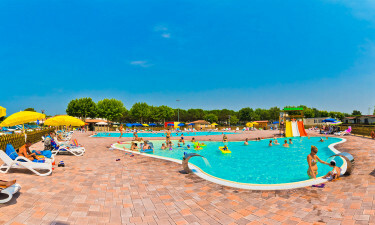 Camping del Garda is a luxury camping site offering four-star facilities, a relaxing atmosphere, and an unbeatable location that is perfect for nature lovers and families. Experience a new and exciting holiday concept and book your stay at Camping del Garda with Lux-Camp. 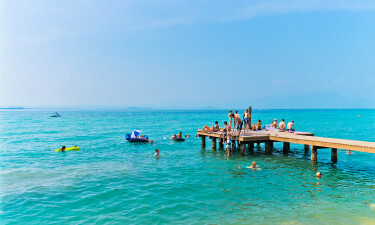 Welcome to Camping del Garda, near Peschiera, an exclusive camping holiday destination on the shores of Lake Garda. Why should I book a luxury camping holiday at Camping del Garda, near Peschiera? Camping del Garda is the perfect base from which you can explore the exceptional natural and cultural heritage of the Lake Garda region. This luxury camping is centrally located near some of the area's top attractions. Within short driving distance you'll find attractions such as Gardaland (Italy's largest amusement park), Parco Natura Viva (a zoo and safari park), and nearby Peschiera, an impressive medieval town where you can explore ancient castles, fortresses, and go on a leisurely boat ride.